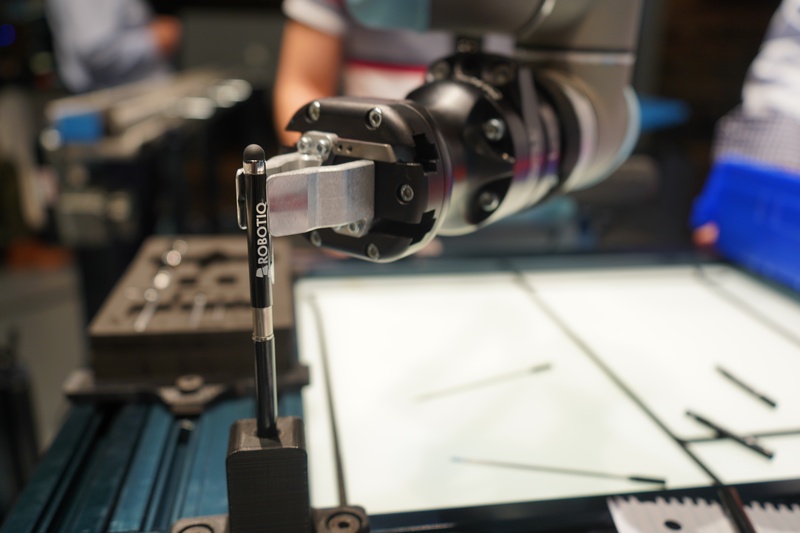 Since it's well known that Robotiq Grippers are a good fit with Universal Robots, we're often asked if the 2-Finger Adaptive Robot Gripper is "collaborative." This seemingly simple question is actually pretty complex! What does it mean to be "collaborative," as opposed to merely "safe to use"? What are the Gripper's safety features? What can we learn from performing a risk assessment? What's the difference between "collaborative" and "safe to use"? The term ‘‘collaborative’’ comes from the ISO standard ISO 10218. It was published in 2011, and describes the four types of robots that have been identified as collaborative so far. The main type is called ‘‘force-limited.’’ These robots stop whenever they feel a certain impact, and they include well-known models from UR, Rethink Robotics (Sawyer, Baxter), ABB (YuMi), and Fanuc (CR-35iA). The same standard notes that to achieve robot safety requirements, you must perform a risk assessment. This process includes evaluating the different risks involved in the use of your specific robotic cell – regardless of what type of robot you're using. In fact, whether it's a force-limited robot, regular industrial robot, or a mix of everything, you still have to go through all the steps of the risk assessment and evaluate any potential sources of injuries to workers using the device. So the word ‘‘collaborative’’ really just describes a type of robot. It does not guarantee that the robot can be used safely in any environment or for any task. 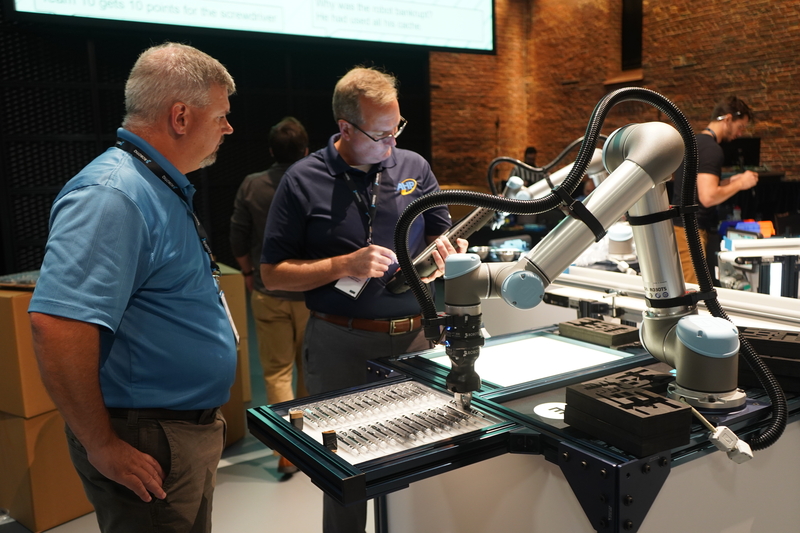 Even if some collaborative or force limited robots are certified by third parties, that doesn't mean the specific application that the robot performs will be collaborative or safe for users. That being said, it is pretty hard to identify what is collaborative and what isn’t. 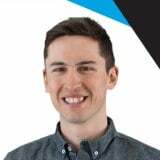 The important thing is to identify what's safe to use and what isn’t safe in order to make the robotic cell compliant with collaborative standards. For more details on your robot's use limitations (regarding force, speed, kinetic energy, etc.) you should refer to ISO/TS 15066. Ultimately, the word "collaborative" describes a type of robot, but does not guarantee safe use of the robot. A risk assessment must always be performed regardless of the type of robot. Your goal should simply be to use safe devices and safe applications in order to make your robotic cell collaborative. How safe is the 2-Finger Gripper? 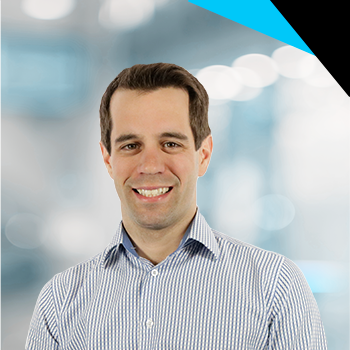 User safety is at the heart of our approach to product development. That's why we've added safety features to our grippers that allow them to be safely used in (almost) all situations. Below you'll find a brief summary of these features. Our 2-Finger Gripper is equipped with an embedded auto-blocking system that keeps a part secured even if there's a power interruption. Unlike hydraulic or pneumatic grippers, which depend on a constant power supply to maintain their grasp on a part, our technology lets the gripper mechanically secure an object once it is grasped. In fact, the mechanical design of the gripper means it can leave its fingers closed against the part indefinitely. It will remain in this configuration until power is restored and the gripper is reinitialized. In other words, assuming the part has been grasped with the right force, you won't lose anything. 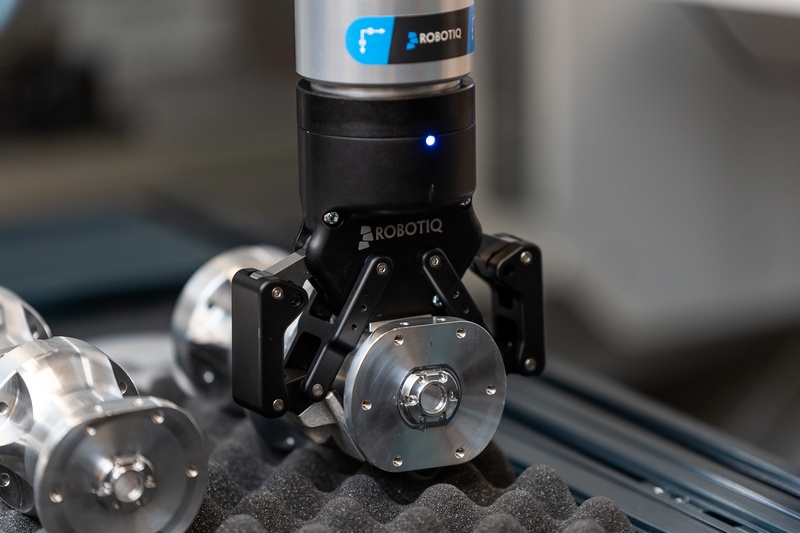 If force limitation is your concern, you should know that the Robotiq 2-Finger Gripper's force can be adjusted from 20–235 N for the 2F85 version, and from 10–125 N for the 2F140 version. The ISO/TS 15066 standard suggests a force limitation of 150 N for the hand region, so this is the maximum force you should set in the Gripper's firmware for collaborative applications. However, you can set it at 235 N when using the Gripper in non-collaborative applications. You should also know that when the gripper closes against an object, it stops when it reaches a certain force – the set force – and not when it reaches a certain position. So, if you accidentally place your finger between the object and the Gripper’s fingers, it won't stop until it has reached the set force. That's why it's important to adjust the set force to a level that won't cause any damage to your fingers (which, according to ISO/TS 15066, is 150 N). In order to prevent pinch points and avoid getting clothes or limbs caught in the open linkage of the gripper's finger, we've developed a cover that can be put over the 2F85 version of our 2-Finger gripper (it's not yet available for the2F140 version). This cover closes off all potential open linkages and pinch points. Since it's made of rubber, it also has a shock-absorbing effect that offers further protection in the event of impact. Our product has been installed on thousands of collaborative force-limited robots with great success. Given all the safety features described above, and all the other complex devices present in a robotic cell, the gripper is certainly not the limiting part of it. Want to learn more about how to do a proper risk assessment for a collaborative robot? Check out this template, which will help you complete the whole process! Again, if you have any safety concerns regarding the 2-Finger Gripper, a risk assessment is the best tool for finding out whether it's safe to use. And if you need further information on the subject, our integration coaches are happy to help.